Tennis System has been making waves across the United States with their contemporary take on the classic shoegaze sound. The lush guitars and dreamy vocals are all there — yet the Los Angeles band takes it up a notch by incorporating loud, sludgy guitar solos and thunderous drums more aligned with Dinosaur Jr than My Bloody Valentine. Maybe it sounds strange on paper, but trust us when we say it works on their stellar debut LP Teenagers. KH010 is limited to 50 hand-numbered copies on C42 tape. 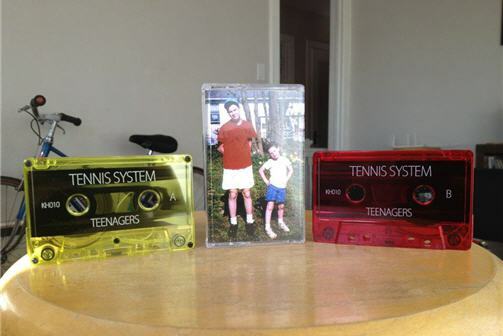 The album is available on see-through yellow and see-through red cassettes, with 25 of each color. Browse the Release archive. This entry was posted in TAPES, TENNIS SYSTEM.